Would you ride in a train that goes 700 mph? Five years on from the idea of a hyperloop being proposed by Elon Musk, a potential route for the 700 mph train in Missouri is now claimed to be feasible. Proposed by Virgin Hyperloop One, a transport startup overseen by Virgin boss Sir Richard Branson, the route was the subject of an independent report to see if it could be viable. The short answer of this study is yes. Its key findings include how the hyperloop would increase the number of people travelling between St Louis and Kansas (with a stop half way at Columbia) by 80 percent. It was also predicted that decreased travel time would add $410 million per year to the local economy. Of that, $91 million would be saved annually due to reduced traffic on the I-70, which currently connects the three locations. These savings are due to the hyperloop traveling significantly quicker than a car, train, or even an airplane. The travel time between Kansas City and St Louis could be as little as 28 minutes, Hyperloop One claims, compared to 3.5 hours by car today. Travel times to Columbia from either Kansas City or St Louis could be 15 minutes, compared to nearly two hours by road. As with other hyperloop systems being developed by companies like HTT, Hyperloop One's proposal is for a high-speed electric train which travels through a tunnel with most of its air removed, creating a near-vacuum with very little air resistance. Regarding the cost of a ticket, Hyperloop One says it "could be lower than the cost to drive (based on gas alone), while still cutting down the time by three hours". Flying the route currently takes around 55 minutes, but this doesn't include getting to and from the airport, queueing, security etc. 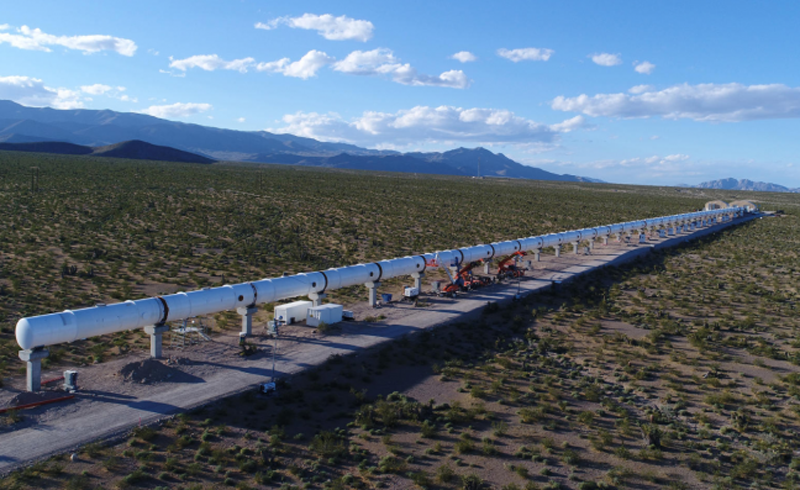 The report examined the social impact of a 248-mile hyperloop located alongside the I-70, as well as potential station locations, regulatory issues, route alignments and rights-of-way associated with the hyperloop. 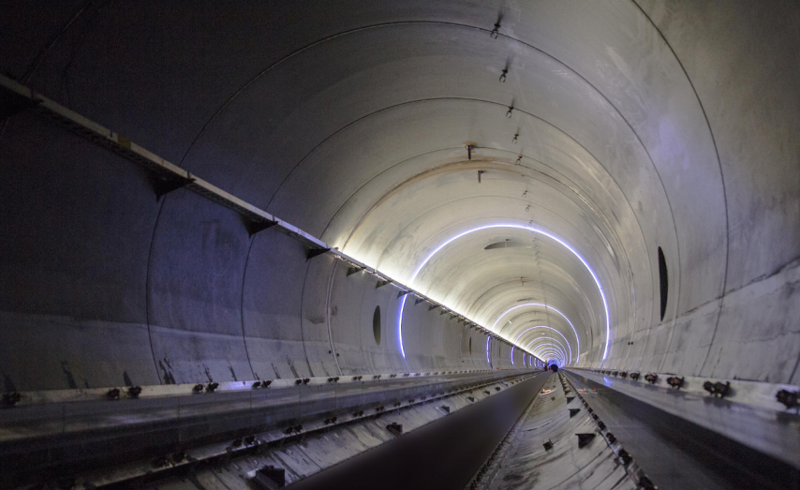 But, despite the report stating how Hyperloop One's "linear infrastructure costs" are around 40 percent lower than those seen in high-speed rail projects, no actual estimate for the construction cost is given. Rob Lloyd, chief executive of Virgin Hyperloop One, said: "We are thrilled at the results of this study. A feasibility study of this depth represents the first phase of actualization of a full-scale commercial hyperloop system, both for passengers and cargo in the United States...The resulting socioeconomic benefits will have enormous regional and national impact." Hours after news of the feasibility test was made public, a report claimed Saudi Arabia has pulled a planned deal with Virgin Hyperloop One, after Branson said he would freeze ties with the country until more was known about the disappearance of journalist Jamal Khashoggi, reports the Financial Times. Hyperloop One had spent 18 months discussing plans for a hyperloop route in Saudi Arabia, and was preparing to sign a deal for a new feasibility study into the proposed high-speed transport system. Saudi Arabia was also expected to invest $1 billion in Virgin Galactic, Branson's space tourism business which plans to send passengers on brief trips into space for around $250,000 a ticket. U.S. Daily News: Would you ride in a train that goes 700 mph?